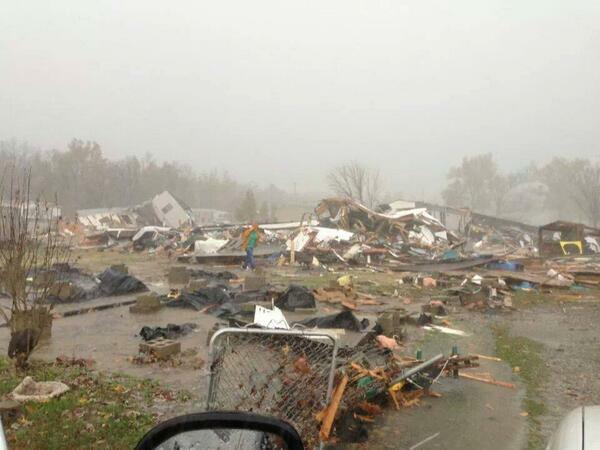 The town of Brookport, IL was hit by a tornado yesterday. At least three in the town have been killed. I've been seeing on Facebook that there is an 11 year old boy in critical condition with a head injury. Today, I purchased $64 worth of immediately needed supplies (cleaning supplies, plastic storage, personal hygiene, headache relief meds, water, etc.) and took to one of the churches that are gathering supplies. If any on my F-List would like to donate to a worthy cause, I've added a link below. Due to Brookport being a low economic area, there are not many direct online donation links monetary wise. Most are taking cash/check donations locally. Brookport falls under the St. Louis Chapter of the Red Cross, but I wouldn't trust that the money would make it down from St. Louis. There are many, many displaced pets from the storm. A local vet clinic is doing free work on injured pets and the animal shelter in Metropolis, IL is organizing pet rescue and housing pets in hopes to get them reunited with their owners. This animal shelter could use donations for finding extra space to house the animals along with food and supplies. I know many of you are pet lovers, so I figured this would be a good online way to help raise money in support. Just visit the website link below and the Paypal donation link is on their home page. If something else comes help for online donations that I know will go directly to Brookport, I'll let you know. This is about 4-5 miles west of my house. 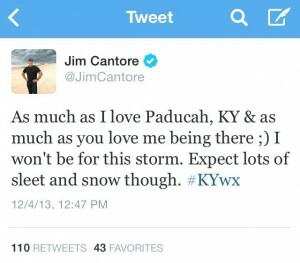 They took a direct earlier from a tornado that crossed the Ohio River from KY into IL. There's been one two three confirmed death and they have been transporting injured to the hospitals over here. Since the tornado sirens stopped, all I've been hearing are the emergency sirens of the crews from my area heading back and forth over the river to help. ETA: They just used my video from this morning on The Weather Channel while they were talking to our town's mayor about the flooding. We missed the tornadoes so far and I'm glad all those that went to see Mark Harmon in OKC are okay. However, early this morning (and it's still going on) we received more rain in 3 hours than the monthly average for the month of June. And it's going to be raining more the rest of the day. There was minor flooding on my street, but it has gone down. However, several streets are still under several feet of water in my town. Scary stuff. Below the cut are some videos and pics I took between 6:00am to 6:15am this morning. In other news, my sinus headaches have finally receded. So perhaps this front passing through was the culprit. Apparently there is a blizzard on its way towards me. We're all doing Christmas in the morning with mom's family and then booking it home before the snow hits. I think I'll be content with the snow as long as there is no ice (2009 flashbacks *shudders*) and the tornadoes are staying to the south. Everyone else be safe that may be in the storm's path. So... the last few days haven't been pretty around here. Wednesday in the early morning (5am-ish) we crawled out of bed to tornado sirens and went to the basement for about an hour. Luckily the storm broke up and the tornado on the ground found jumping back and forth over the Ohio River interesting, so we didn't have anything from it. However, it did do some damage nearby including destroying a few mobile homes. Other places have not dodged unfortunately... Harrisburg, IL is just an hour north of me and then there's all the other places like So. Indiana and the rest of Kentucky. And those still getting storms tonight. Everyone be safe out there! Below is the videos I took of the hail prior to the tornado siren going off (listen for that at the end). The boss vacated us from the office and took us to his house a few minutes drive away to wait it out in his basement. He had two trees uprooted behind his house, but they were far enough away not to fall on anything.